Robert Herbst AP, DOM, Dipl. in OM, received his B.S. degree in psychology from Florida Atlantic University in Boca Raton in 1995 and continued his psychology education earning his M.S. degree in clinical psychology from Miami Institute of Psychology – Carlos Albizu University in 1998. After working in the field of psychology for a number of years he decided to return to school to continue his education. A powerful and life changing experience with acupuncture piqued his interest in holistic medicine. He decided to focus his studies on Traditional Chinese Medicine, to not only treat psychological conditions but other health issues as well. He ultimately received his degree in Acupuncture and Oriental Medicine from The Atlantic Institute of Oriental Medicine in 2007. He was awarded the Student of the Year Award (2006), The Frank C. Lu Scholarship Award (2007), and The President’s Award (2005) during his studies from 2004 – 2007. Robert also interned and studied with his mentor Dr. Fu Di (MD China) for two years while in school, focusing on acupuncture and Chinese herbal formula preparation for a variety of common conditions including psychological issues and women’s health issues, especially infertility. His practice at CARE Wellness Center focuses on infertility treatment, women’s wellness, chronic and acute pain conditions, auto immune disorders, as well as psychological conditions such as depression, anxiety and addictions. He is Nationally Board Certified in Acupuncture & Chinese Herbal Medicine by the National Certification Commission for Acupuncture and Oriental Medicine (NCCAOM). 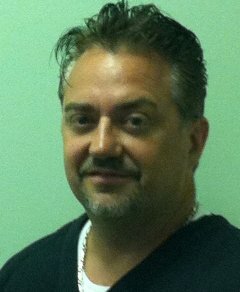 Robert has also worked extensively in community court in West Palm Beach treating addictions. Read more about acupuncture treatment at our comprehensive acupuncture website – The Acupuncturists, Inc. where you can see a complete list of all conditions we treat and how we go about diagnosing and treating disease according to Traditional Chinese Medicine. Robert Herbst AP, DOM – Diplomate in Oriental Medicine – serving the residents of Coral Springs and the surrounding cities of Margate, Coconut Creek, Pompano Beach, West Boca and Parkland. Please call 954-586-8088 to schedule a Free Consultation.